Most brides will always want to have their engagement ring on just to keep the thought of their groom-to-be fresh in their heart. Some other times, brides will want everybody to know that they are now engaged and are ready to get married in a few more months. 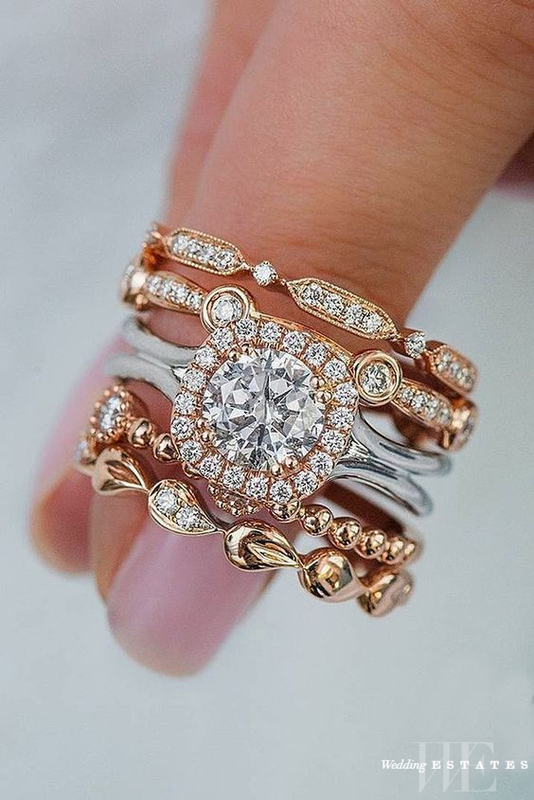 Whatever your reason for loving to wear your engagement ring every time, there are still some few moments you will need to take off your engagement ring. Not wearing your engagement ring at some point is not a crime, and it doesn’t mean that you are not committed to the relationship. But rather, it’s a time to preserve the ring from getting in contact with unfriendly substances and materials that can lead to rust, scratch, spoilt or even damage. Paint contains chemicals that can poorly affect the precious metal material with which your engagement ring is made of. You wouldn’t want to wear a ring with a scratch from the hammer or paint stain. Pulling off your ring just for a few hours to complete your painting project will go a great way to preserve your symbol of eternal love. When you are working on the farm or a small flower or vegetable garden behind your house, you will need to use farm tools. Holding this farming equipment while you are having your engagement ring on is really a wrong thing for you to do. Why? Because you will be rubbing the ring against the tool handle especially if you are holding a metal handle, and you might have some scratches on your ring due to some friction. You will preserve your engagement ring if you don’t dip it in soapy water whether, during laundry, bathing or you are washing your hands. Soapy water can affect the metal material and cause it to start fading by reducing its lucre property. Also, the stone on the ring might fall off into the water while swimming or doing hand washing. Take a few seconds to remove the ring from your hands and place it gently on a ring case or in your closet until you are ready to wear it again. Before you start applying your beauty products like a skin moisturizer, face primer, body cream/lotion. This is because some of the beauty lotions can get stuck in between your ring finger and the ring. When this happens it can cause a skin color change when not cleansed over a longer period of time. You can keep the ring on your dresser top, bedside table or in the drawer until you are ready. Your engagement ring is likely to fall off when you are having a sports play especially if it’s one that requires much of your strength and attention. Instead, you can wear a wedding bracelet or band.